It is with great pleasure and honor for QSV organization to have planted a seed of promising fruition here in the nearby location of NDAYANE. Chosen by Almighty GOD a secured registered Land of 200 square meters to operate humanitarian actions mentioned above and more GOD willing. Our Immediate project is located just several miles of Landmark (Hotel)Terre D’Afrique in the village of Popenguine. In the benefit for our Women & Girls the pleasant environmental flourishing scenery was a key factor chosen in this Location for it is a inspiring upliftment in the mental senses for advancement of one’s education. Where we are and what our reason for being there plays a huge influence on what we do and how we learn. A thriving environment is a powerful influence indeed and not a coincidence that it’s Commune was established on the birthday of our beloved leader King Shaykh Imam Assane A Cisse (RTA), December 4. Our interest in building/purchasing this land can be justified by its great features and a potential reality to fulfill our dreams of working for QSV organization educating and training thus making a greater role model impact in this land of Teranga and the rest of the world. The local is in a surface of 200m2, and as we can notice it in the architectural draft plan, we adapted the activities of QSV (workshop trainings(formations), meeting, social work, etc.) to the structuring of this building. It will be established(constituted) in downstairs, of a workshop(Classes) of training(Education) (in the professional jobs(Entrepreneurship businesses)); Of a room(Chamber) to welcome children or women in difficulties; of a living- room(Recreation) which can be use as place of entertainment to the children; of a store for(Goodwill) storage of Clothing; of a Full Cuisine(Culinary)kitchen and (boys and girls) toilets. At the first level (up stairs) there is Salon room for visitation(s), and a QSV Couture( boutique) generating funding to QSV Organization, a lounge communicating with a cabinet(office) which can serve as medical source(Pharmacy) and (community)social block; of an office(desk) Professional for the administration of QSV; of a 2nd waiting(Salon) Guest room for the visitors; Public (lavatory) men and women toilets. In the third floor and last level will serve the functions of the QSV board member meetings; and finally a compartment of relaxation (station)close by to symbolize this village of solidarity, peace and brotherhood(Zawiya). Founder (financier), humanitarian Mother Queen Sheba is determined, envisioning and future expansion to the spiritual infusion of Grandmother Sayidah Loretta Brown and benediction of the late saint Imam Shaykh Assane Cisse RTA for Queen Sheba Village organization founded in the Medina Baye Kaolack region to serve numerous remote villages throughout Senegal offering adequate training to volunteers in future nearby African countries (QSV Ghana, Mali, Nigeria, The Gambia, Togo etc)to serve, educate and uplift their communities for the better. QSV engages in providing assistance social welfare(public) via our programs, events and current projects fundraisers for QSV micro-credit loans and more established for women to run businesses of their own. 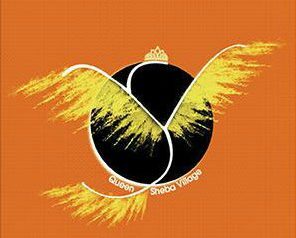 Queen Sheba Village pioneering the model example aiding humanity in the Horn of Africa, LAND OF ALL ANCESTORS, Ameen.